Does Lottery.com Really Work? Read Reviews! Lottery.com aka AutoLotto is an app you can use on your smart phone for purchasing lottery tickets and checking your tickets. Lottery.com is supposed to be a place where you can buy lottery tickets and check your results. At this point, it only shows the results of five US lotteries – Powerball, Mega Millions, Hot Lotto, Lucky For Life and Cash4Life. Reading through the complaints, it looks like it definitely needs to go back to the drawing board. Lottery.com – What Does It Do? This app is supposed to make life easy for checking your lottery results and buying tickets. Basically, you’re supposed to be able to click a pic of your ticket and the app will check whether you’ve won. It seems though, since the last time they updated their system, it’s not working correctly. The terms and conditions go on about the rules and regulations of buying lottery tickets here, but I couldn’t figure out what to click on to do so. The app is free and can be downloaded online or on your computer. To download Lottery.com, simply type your telephone number in and click “get the app”. Keep in mind when you do this, lottery.com needs to access on your phone your device & app history, identity, contact information, location, SMS, photos, media and files, camera. You need to give them permission to do this. Some apps need this access to operate and some access information that is not necessary – they are data mining. I don’t see why Lottery.com needs to access my device and app history. To use this app, you have to be physically located somewhere in the United States and 18 years of age or older. Interesting that is says ‘physically there’ versus a resident. You can only have one account. 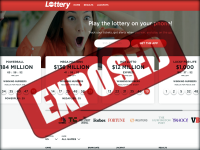 If you’re using this site to play lotteries, please note that you have 30 days from the point Lottery.com notifies you to collect your winnings. There is no information on who actually owns and operates Lottery.com. There is a snail mail address for them in San Francisco buried in their terms and conditions and a couple of email addresses. There is also a couple of email addresses and an app chat to talk to these folks. It appears that Lottery.com was originally called AutoLotto.com. From the complaints, they definitely had glitches when they made the change. Would you mind rating Lottery.com? Is Lottery.com the Place to Play Lotteries on Your Smart Phone? Reading through the complaints on their app page through Google Play, I wonder why anyone would go any further. The glitches seem to range from not being able to scan your ticket to check your numbers to simply can’t purchase tickets on the site anymore. It sounds like the original app by AutoLotto worked pretty good, but since they updated their program, it’s gone to the dogs. There also seem to be huge time delays in lottery.com responding to complaints – and this is on their place to download this app. Final verdict: 2 out of 10 stars. I used this app for a week, had all kinds of problems and you can not buy Lotto tickets on it. 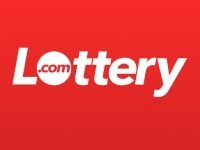 Lottery.com - What Does It Do?